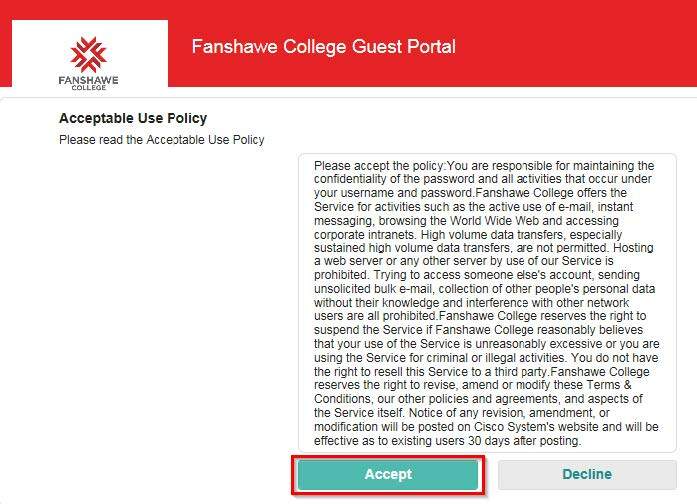 For security reasons, Fanshawe College does not operate a publicly-accessible Wi-Fi network. 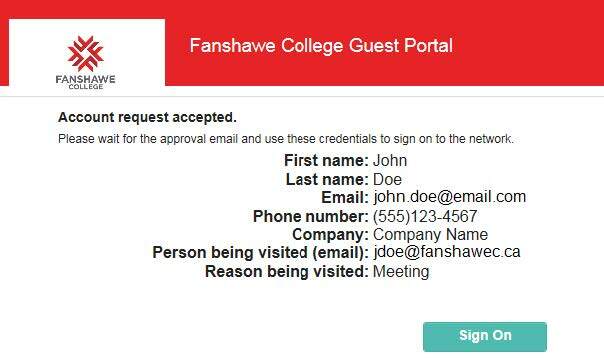 All guests must be approved by an internal Fanshawe Employee in order to gain access. 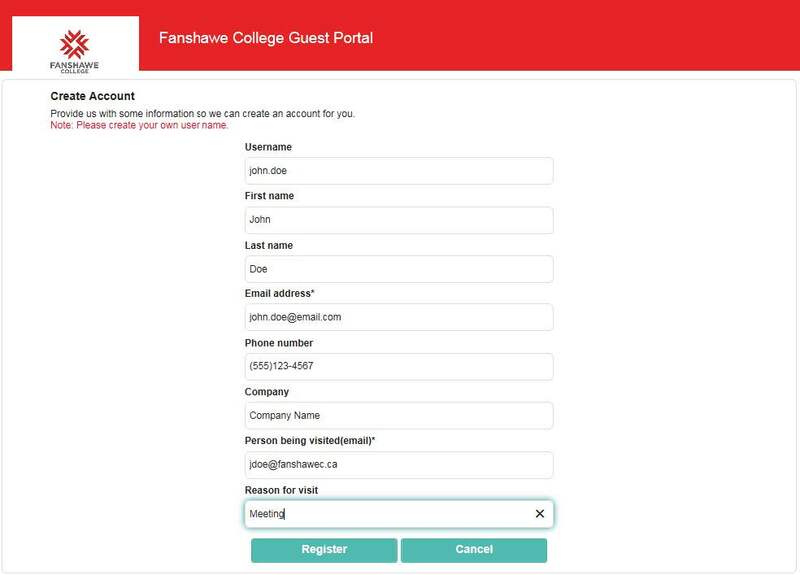 If you are an employee looking to approve or create an account for a guest, please visit this page instead. After joining the wireless network, please open a web browser. You will be redirected to a registration page. Your request to access the wireless network has been generated. The person you are visiting has been notified of your request. Once the request is approved, you will receive an email with your login credentials. If you do not have access to the email address you provided, the party approving your request can also provide you with your credentials. Click “Sign On” to take you back to the login page. 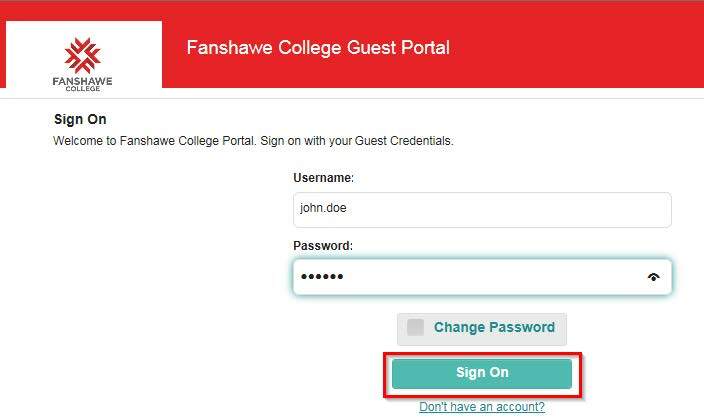 You should now have a username and password; either received via email, or provided by a Fanshawe employee. If you have not already done so, please launch a web browser. You will be redirected to a page where you can login to the Wi-Fi system. Success! You should now have internet access.